Located a 5-minute walk from Camp Nou, Barcelona Centric Apartment offers a modern apartment with free WiFi and a balcony with views over the city. Sants Train Station is 1 km away. Fitted with wooden flooring, this bright apartment features a kitchen equipped with a dishwasher, gas hob and kitchenware. 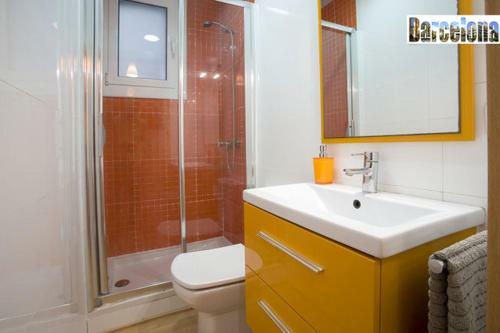 The bathroom comes with a shower and hairdryer. There is a washing machine, dryer, and ironing facilities. 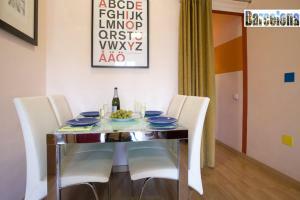 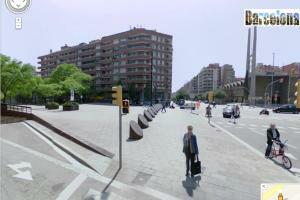 Several bars, restaurants and supermarkets can be found within 5 minutes’ walk of the apartment. A 15-minute metro ride will take you to Plaza España and the Joan Miro Park. 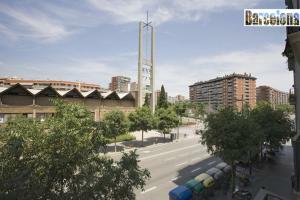 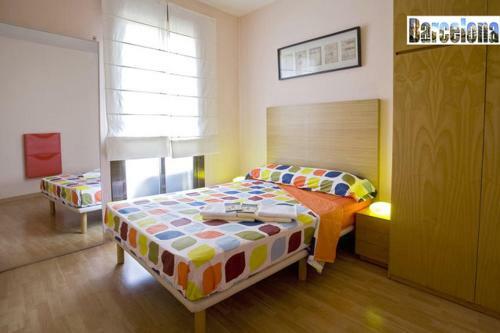 The closest metro stations are Badal and Plaza del Centre, both 850 metres from Barcelona Centric Apartment. 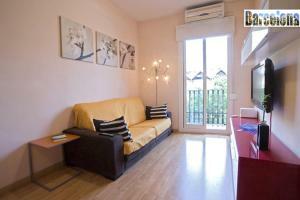 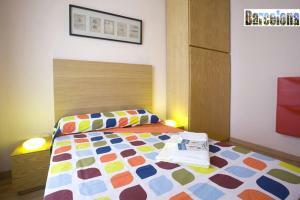 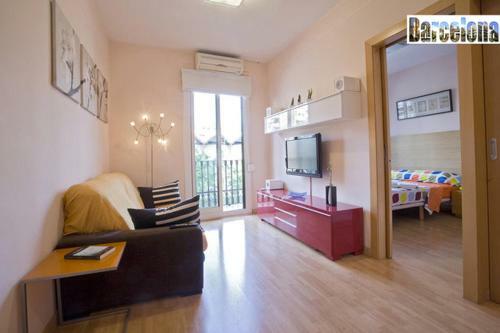 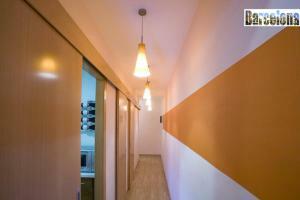 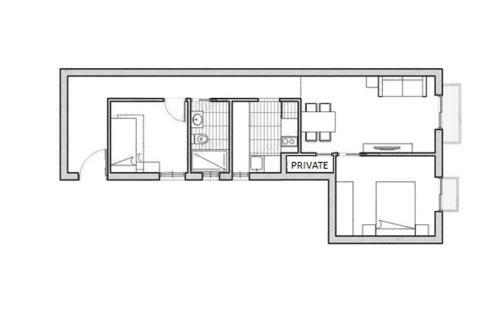 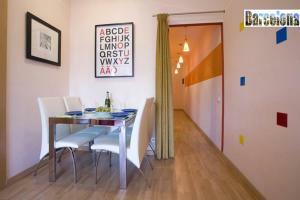 This bright apartment offers 1 double bedroom and 1 bedroom with 2 bunk beds. 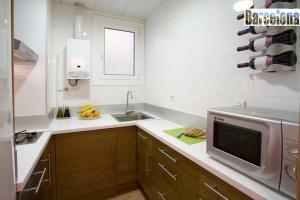 The kitchen is equipped with a dishwasher, gas hob and kitchenware, while the bathroom comes with a shower and hairdryer. 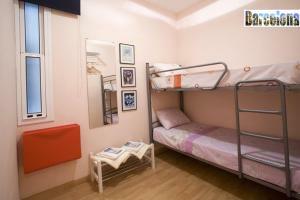 There is a washing machine, a dryer and ironing facilities are provided. 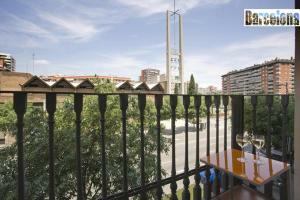 This apartment has a large balcony with city views. Rate: € 143.17 ... € 179.00; select dates below to get current rates.